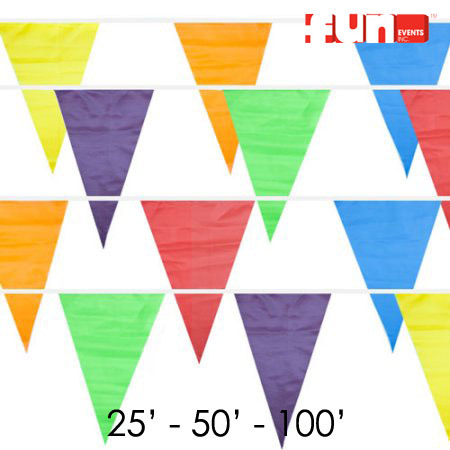 25 ft. 50 ft. or 100 ft. Multi-Colored pennant flags. Colors include: orange, red, green, blue, yellow, and white. Great for your yard or other decorative purposes.